I'm New to this forum. It seems the only place I can turn to with this question without someone having a vested interested in the response. I am shopping for a piano in which my 5 year old daughter can learn on, and that I may return to with an appreciation that only adulthood can bring. 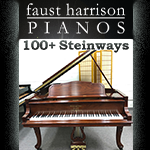 After reading Larry Fine's book(s) and doing some amateur research I like the sound of the Yamaha pianos. In some weird way the sound of a Yamaha represents a newer sound (than the Baldwin vertical I used to practice on some 30 years ago)and symbolic to me of a new beginning for my daughter as well as myself. What are your opinions on the GC1 versus the U3? Thanks beforehand for your guiding hand(s)! The action of a GC1 is better than a U3, but the U3 has a good action (for an upright piano). I can only say that I love my GC1, it beats an upright any day. there is nothing like the feeling that you get sitting behind a grand piano. I bought a Yamaha upright and traded it in after 4 months, I have had no regrets. It is much nicer to play and see the people around you then to stare at a wall. The sound comes alive in the room instead of dying against a wall. Personally I prefer the action of the Grand over the action from an upright, it plays smoother. If you want to see/hear the GC1 send me a personal message. I will send you a link. Both U3 and GC1 are excellent pianos. I see no much difference in your 1), 2), 4), and 5) but GC1 is definitely a "great looker". The most important thing is you like tone, touch, and look of a specific piano. Then you can negotiate pricing. As to price, I guess you may get a better price since you live in the Washington DC area where quite a lot of dealers are located. I know a friend purchsed a GC1 at $11,500 in 2006 in Chicago area. I would also try to negotiate the price of U3 down to around $8,500. I am a 'grand' person but if you compare the 52" professional (almost) top of the line U3 and the entry level 5'3" GC1, I would prefer the U3. 1) I prefer the sound of U3 more (I played both in the Yamaha store). 2) Should be the same. 3) The grand looks better. 4) Should be the same on both. 5) U3, since it is cheaper. Between these two I might give strong consideration to where the piano would look best. A grand kind of sits out in the middle of the room where the upright sits (usually) up against a wall (interior preferred but not entirely necessary with the way houses are built these days (is your house fairly new?)). Now, were you to step up to a C2 , , , ,no competition! That said; I'd go with the U3. Reason; the top of the line upright would trump the entry level grand. Our parish school got a new GC-1 and I was really surprised at the tone and the action on it. Granted, it is an entry level grand. However, I was very pleased with it when we gave a musical concert with it and it performed very well. 1. Get the one that you like more. There should be a difference between a U3 and GC1. I don't know if the hammers used are the same. But if they are different, you may want to opt for a better grade hammer used as they can be more responsive to voicing. 2. Both should be very durable but I do believe Yamaha puts more attention to a high-end U3 than an entry-level GC1. 3. A grand will always look nicer than an upright. This is no match, GC1 wins. 4. I believe U3 may hold up value better. A used piano shopper than has made some researches will certainly know that a GC1 is an entry-level, a category that I believe some people will avoid. U3 may be a piano of lifetime, IMHO. 5. U3, U3 should have higher performance and lower price but it lacks the grand action, which can be important for some pianists. Anyway, choose the one you like the most. Disclaimer: I don't like GC1 model. there is nothing like the feeling that you get sitting behind a grand piano. To me, this statement just about sums it up. I believe the U3 is a better choice than the GC1. 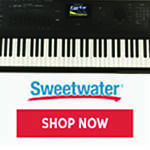 I made the same kind of choice when I decided on the Kawai K3 as my first piano. If you can step up to a grand at least 5'8" or so (GC2 for example), I would go for the grand. 3) U3. Really small grands just don't do it for me as they are almost as wide as they are long. 4) U3. Upright will be easier to sell down the road because it is cheaper and wil fit in any home. It will also depreciate less in dollar terms because it starts with a lower price. 5) U3. 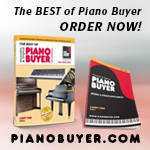 You will get 90% as much piano for 75% of the price. Interesting thread. I would probably vouch more for the U3 given that the taller U-series Yamahas, similar to the taller K-series, are constructed with all the "good stuff". Although the action will likely not be as expressive as the grand, I believe you will have ivory-feel keys and a very consistent action on the U3. Is the GC-1 truly the lowest model in the Yamaha series? or is it the GB-series? If the Yamaha GRAND (the GC-1) is the "middle" of the 3 series than I would go with the grand. Having played tons of both.. musically, I would pick the GC1. Even though the hammers on the U3 are a little nicer, I prefer the sound & touch of a grand. The U3 is 52" - and the GC1 has a comparable soundboard size to the U3.